Home | News & Media | Supporting Elections and Democracy | Has information technology become a threat to democracy? This speech was given by Mr Kofi Annan at the Technical University of Munich on the sidelines of the 2018 Munich Security Conference. Herr Präsident, Exzellenzen, meine Damen und Herren. Guten Abend. I am pleased to be here for the Munich Security Conference. This is the 10th anniversary of Ambassador Ischinger’s leadership, by the way, for which he deserves our applause and appreciation. From a small gathering of experts over fifty years ago, the MSC has gone from strength to strength to become the foremost global conference on security policy. I must commend the MSC on its broad understanding of security, which used to be all about nuclear warheads and troop strength. The MSC has been part of a wider movement to broaden the definition and understanding of security. As I always say, there can be no long-term security without development, and there can be no long-term development without security. And no society can long remain prosperous without the rule of law and respect for human rights. I will be stretching the conventional approach to security this evening by looking at the challenges and threats to democracy posed by developments in information technology. I think this is an apt venue for such a discussion, given the world-renowned excellence in science and technology of the Technical University of Munich. The advent of internet and social media, was once widely hailed as creating new opportunities to spread democracy and freedom. Twitter, Facebook and other social media, played a key role in popular uprisings against regimes in Iran in 2009, in the Arab world in 2011, and Ukraine in 2013. To many, the tweet seemed mightier than the sword. By connecting people and giving them a voice, especially in countries that curtail the right of assembly and freedom of speech, social media were viewed as an unprecedented global force for citizens’ emancipation. These tools helped to bring young people into the political debate, after years of growing apathy. However, authoritarian regimes around the world soon began cracking down on internet freedom. They feared the brave new digital world that was emerging because it was beyond the reach of their analogue security establishments. Their fears proved unfounded. 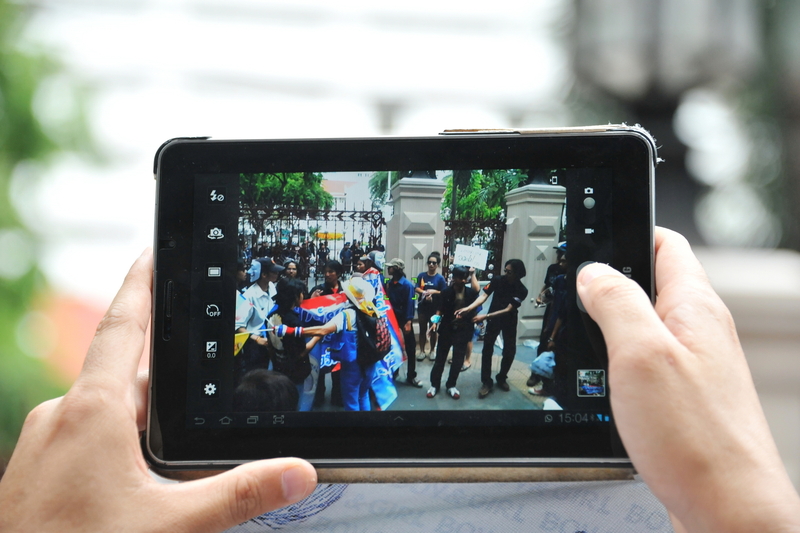 In the event, most of the social media-enabled popular uprisings failed for want of effective political leadership. It became evident that social media were not enough, and traditional political and military organisations captured the political process once again. Authoritarian regimes then began domesticating the internet, hiring armies of hackers and trolls. So the question is, are social media instruments of emancipation, or instruments of control? Has the tweet become the sword? Once governments mastered the potential of these instruments at home, they began using them abroad too. We have all heard of the allegations that Russia surreptitiously used social media to influence electoral outcomes in Ukraine, France, Germany and, most famously, in the last American presidential election. Facebook has estimated that Russian content on its network, including posts and paid ads, reached 126m Americans, around 40% of the nation’s population. We should recall earlier accusations by Russia of the West’s role in fomenting the “Colour Revolutions” in Ukraine and Georgia. Indeed, foreign meddling in elections is nothing new, even if the means have changed. One study calculates that Russia and the US “intervened in 117 elections around the world”, mostly in the context of the Cold War. The internet and social media merely provide another battlefield for the surreptitious manipulation of public opinion. Less well-known is that these problems are emerging in the developing world too, as smart phones and social media are spreading like wildfire across the globe. The last gubernatorial elections in Jakarta experienced a surge in the use of inflammatory “fake news” on social media to enrage and mobilise sectarian loyalties, greatly increasing communal tensions. In the recent Kenya elections, not only were social media used to foment rage and stoke polarisation between political and ethnic groups, but there were even allegations that the electoral commission’s servers were hacked to alter the outcome of the vote. If the most technically advanced countries cannot protect the integrity of the electoral processes, you can imagine the challenges facing countries with less know-how. In the absence of facts and data, the mere possibility of manipulation fuels conspiracy theories. In other words, this is a global threat. It undermines the faith in democracy and elections, thereby weakening the legitimacy of democratic governments at a time when public trust is already low. The essential element of democracy is the right for citizens to have a say in how they are governed, and by whom. So when the confidence in the integrity of the electoral system is undermined, directly or indirectly through external interference, it runs the risk that citizens will believe their votes do not count, that the system is stacked against them. What is the point, in such circumstances, of casting a vote? The risk to democracy comes not only from hostile foreign powers. Social media can also undermine our democratic systems from within. In particular, netizens are gradually corralled into small ideological “echo chambers”, exacerbating biases and diminishing opportunities for healthy debate. This has real-world effects, since it fosters political polarisation and erodes the capacity of our leaders to forge political compromises, the basis of democratic politics. Social media also allow the viral spread of “fake news”, which usually fuel fear and rage. The problem is compounded by how challenging it is to distinguish legitimately expressed opinions from those generated by trolls and bots. As we all know, the internet has also become the home of all kinds of ghastly and festering pools of hate speech, terrorist appeals, and racial and sexual harassment, which in some cases can lead to violent actions in the real world. These developments are undermining trust in information and institutions, and ultimately democracy itself. However, I want to stress that social media are hardly the first communication revolution to challenge political systems. The printing press, radio and television were all revolutionary in their day. All were gradually regulated, even in the most liberal democracies. One solution is therefore to submit social media to the same rules of transparency, accountability and tax as conventional media. In America a group of senators has introduced the “Honest Ads Act”, which would extend the rules that apply to print, radio and television to social media. Proponents hope it will become law before the 2018 mid-term election. Here in Germany, your government now requires social-media companies to take down hate speech and fake news within 24 hours or face fines of up to €50m. The name of the new law, the Netzwerkdurchsetzungsgesetz, is as daunting as the fine it carries. The sheer volume of content—more than 500,000 comments are posted on Facebook every minute—makes such policing hard. It is possible, though, that a mixture of better algorithms and more monitoring could achieve something. Facebook has already agreed to hire a few thousand people for this task; it may need many more if other countries follow suit. Google, for its part, has committed to tackling fake news. As useful as these measures may be, I am not sure national laws will be adequate to regulate online political activity. For one thing, many smaller, poorer countries will not be able to put up such resistance. For another, since much of the data is stored and managed outside the regulating country, enforcement will be difficult. As a result, new international norms may be necessary, but can countries of very different political complexions agree where to draw the line? For we should be careful that in seeking to curb the excesses, we do not jeopardise the fundamental right to free expression, as the debate around the new German law has illustrated. Open societies should not over-react, lest they jeopardise the very freedoms that justify their existence. But nor can we remain idle. We need to comprehend the potential impact of the new technologies on our societies and our political freedoms. The key I suspect, to help us navigate these uncharted waters, is to go back to first principles: equality, inclusion, accountability, and transparency. The internet and social media can serve all these principles as much as they threaten them. After being feted as heroes, the big social media companies are increasingly being cast as villains as all these problems emerge. I don’t think this is the right approach. The great concentration of social media capabilities is both a problem and an opportunity, since it means that if we get the major players on board, we can address the failings of the current system. The big tech companies are recognising the genies they have unleashed and are increasingly willing to cooperate to find way of limiting the abuse of their instruments. Facebook has announced plans to protect the integrity of future elections and increase transparency and monitoring of its advertising for example. But we’re still just beginning to address how social media across platforms is being used to undermine transparency, accountability and trust in democracy. In 2012, I convened the Global Commission on Elections, Democracy and Security to identify and tackle the challenges to the integrity of elections and promote legitimate elections. Only elections with integrity can lead to a peaceful and democratic rotation of leadership and confer legitimacy on the winner, and protects the loser. Results of such an election must generally be accepted by the population as fair, peaceful and credible. Taking up one of the recommendations of the commission, I created the Electoral Integrity Initiative, a network of like-minded leaders and experts, to avert election-related crises, which has been active since 2013. But the issues I am raising today were not even on the radar screen five years ago. That shows you how far and fast technology and its uses has advanced in just five years. I intend to reconvene the commission, but this time calling upon some of the masterminds of social media and information technology, to help us address these crucial new issues of our time. A healthy democracy needs robust debate, so we should not be afraid to engage on these issues, complex though they are. Technology does not stand still, and nor should democracy. We have to act fast, because social media could be just the start of a slippery slope leading to a truly Orwellian world in which big data gets manipulated by Big Brother. With the growing convergence of sensors in our devices – iPhones, smart watches and the like – the big data they are collecting, coupled with the rapid advances in artificial intelligence, 1984 may no longer be a work of fiction. Who will own all this data? How will it be used? Will it require our consent? Who will be accountable? These are big questions for the future of freedom. Some authoritarian regimes are already marshalling these developments to exercise political control over their populations on a scale never previously imagined. As ever, democracy will depend on the critical thinking of the electorate, for no amount of regulation will ever rid the political landscape of malevolent forces. Do not believe everything you read, check sources and engage with people whose opinions you don’t share. Finally, do not confuse your likes on Facebook with your votes at the ballot box. If the string of electoral surprises over the past few years has proved anything, it is that voting matters. The future is, quite literally, in your hands. Handle it carefully.